Every day, our inspirational young people take the opportunity to change their lives for the better. We’re proud of the 870,000 young people whose lives we’ve touched over the past four decades. Why not take a few moments to read, share and celebrate with our real-life success stories? None of our work would be possible without our fantastic network of partners and supporters. Discover their key role in our success. Throughout childhood Kerry faced horrific violence and a lack of stability. At the age of 16, Kerry's world fell apart; her mother sadly passed away. 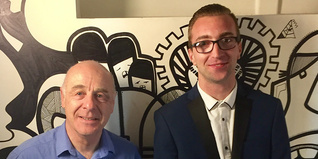 Liam Frazer, 19, from Norfolk, got in touch with The Prince’s Trust after he heard that they supported young people in difficult situations. Liam Plews, 22, from Spennymoor, County Durham, ignored his mum when she told him to do something with his life. Lyle struggled to cope with anger and deteriorating relationships at home, causing him to rebel and contemplate suicide. 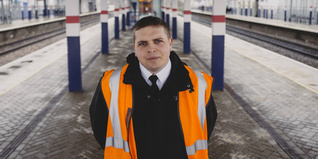 Marcus found school a struggle, but he got good GCSEs and decided to stay on and do A-Levels. Unfortunately, things didn't go as planned. 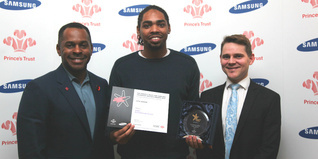 The Prince’s Trust and Marks and Spencer (M&S) launched the first Make Your Mark programme in July 2013. 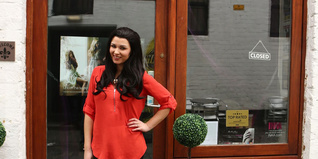 Inspirational entrepreneur, Melissa McNaughton, 26, from Glasgow, battled a fatal illness to set up a successful hair and beauty business. By 18, Michael was homeless. His relationship with his family had collapsed, forcing him to leave. He was on a destructive path, until a friend intervened. 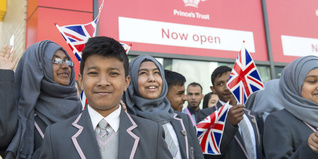 The recently-opened Prince’s Trust Morgan Stanley Centre in Tower Hamlets is a hub that’s already transforming young lives.